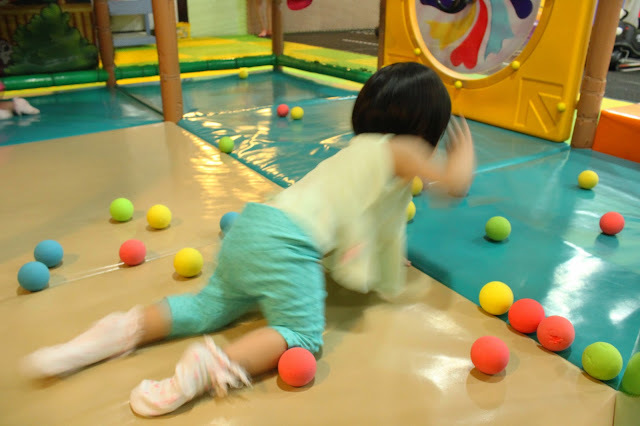 Googled for an indoor playground in the West and decided to try out Playful Elves. The play area isn't exactly huge, but sufficient I'd say. There's a bouncy castle, ball pit, slides, cars with racetracks, etc. I love that we had the entire area to ourselves cos nobody else was there. We went at about 5-6PM on a Friday so I expected it to be packed but it wasn't! Yay! Also loved the fact that they made us all sterilize ours hands before we were allowed into the play area. Felt much much more assured that my baby would be having fun in a clean environment. Didn't like the ball pit cos it was hidden far behind and if you're not small sized enough it can be pretty cramped. And to add, there wasn't enough balls. Aaryanna loved the area where this machine would, erm, how do you put it? Release balls from the top so it drops on us? Omg, I'm so bad at descriptions - Watch the video below and you'll get my drift. 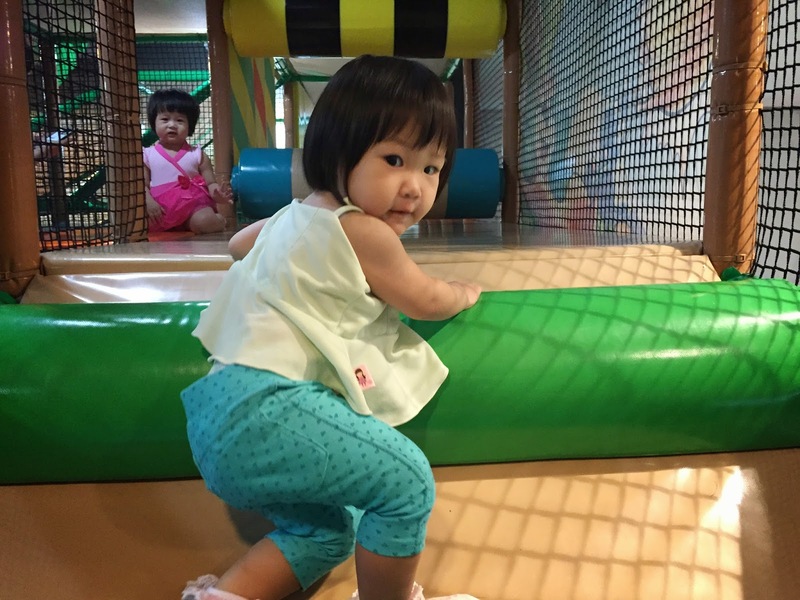 This place would be great for kids who can walk, run and play steadily on their own. So I'd recommend it for those who have kids aged 2 and up. Am still on the quest to find the best indoor playground around with Aaryanna, so if you have any you'd like to share feel free to leave a comment or drop me an email! I would love to check it out! What's in my LAZADA x BENEFIT 11.11 sale surprise box! Strawberrycoatedkisses.com is a parental and lifestyle blog. It consists of daily ramblings, parenting tips & tricks, beauty, fashion, food, and basically anything & everything under the sun.